Fuerst Brothers of 17 Philpot Lane, London were dealers in 'oils, chemicals, drugs, herbs, abstracts, drysalteries, photographic plates and chemicals'. In August 1894 it was reported that they had the agency for Lumière's orthochromatic film plates, which connection naturally led them to become selling agents for the Cinématographe-Lumière and films. They were taking orders for these goods in June 1897. Although Fuerst advertised themselves as sole agents, this was not true as others also handled the Lumière products in England including Philipp Wolff, Maguire & Baucus and Jasper Redfern. 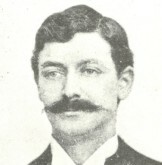 Jules Fuerst was responsible for the film side of the business. 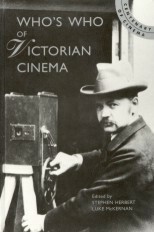 He demonstrated the apparatus at various photographic socieities and clubs (he was to donate a Cinématographe to the Royal Photographic Society), and also became an able cinematographer. It is probable that some of the English subjects in the Lumière catalogue were taken by him, including scenes of Queen Victoria's Diamond Jubilee on 22 June 1897. He is also known to have photographed two of the main events at Henley Royal Regatta and five 'admirable' films at the Aldershot Jubilee Review, which took place on 1 July. Little is known of his personal life, but he should be remembered as one of the earliest cinematographers in England to film news and topical events using the Lumière machine after it was derestricted. Census records indicate that he was born in Germany, and was resident in Britain from at least 1891.